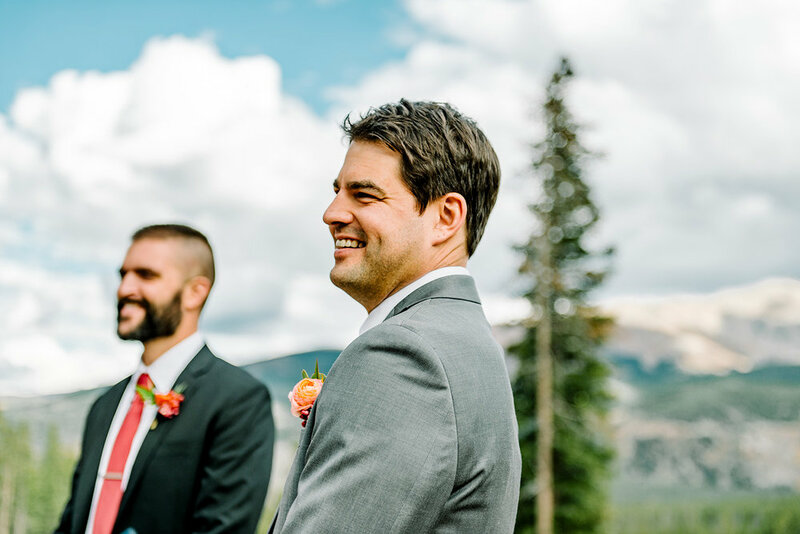 Although Melissa and Jason originally met in San Diego, they wanted their wedding to celebrate their life and adventures together in Colorado — especially since their son, Zander, was born not long after they settled in Boulder. 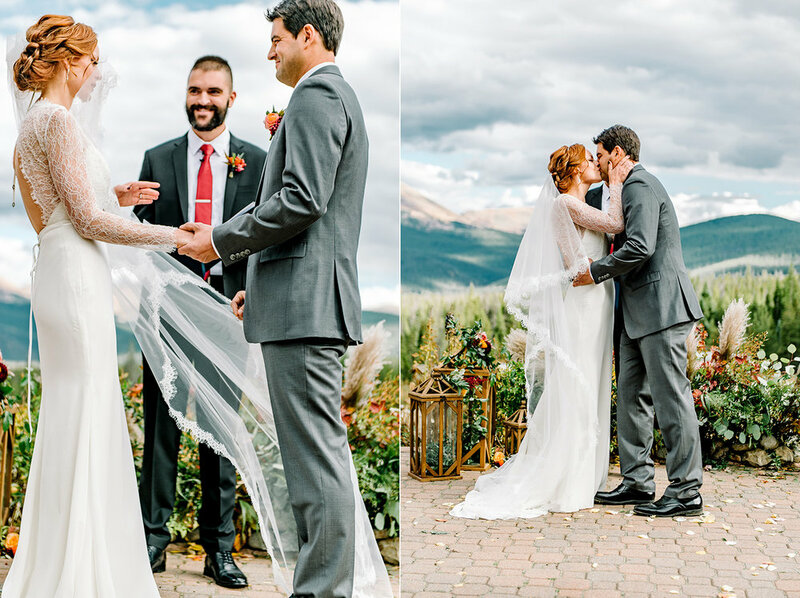 They shared many "firsts" in Breckenridge as a family, so the couple knew from the start that they wanted to tie the knot there. 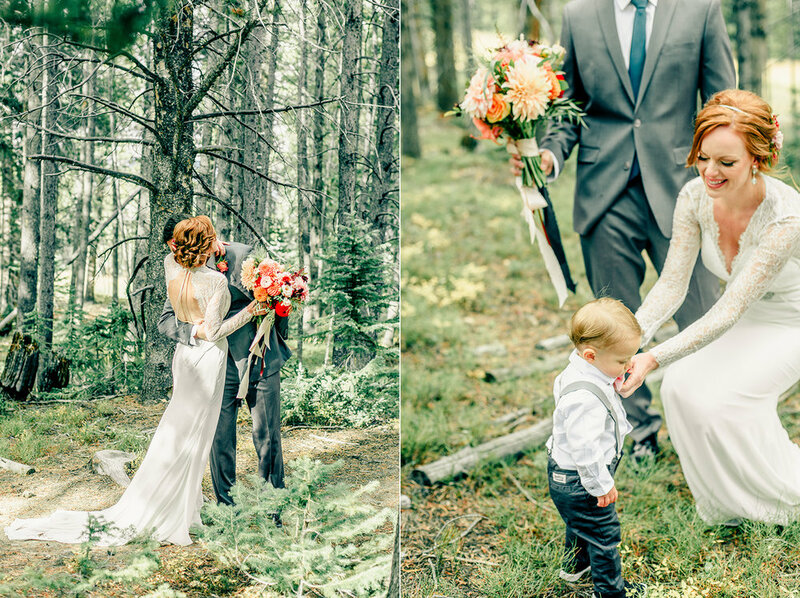 With its rustic mountain feel and breathtaking views, TenMile Station was an easy choice for their venue! 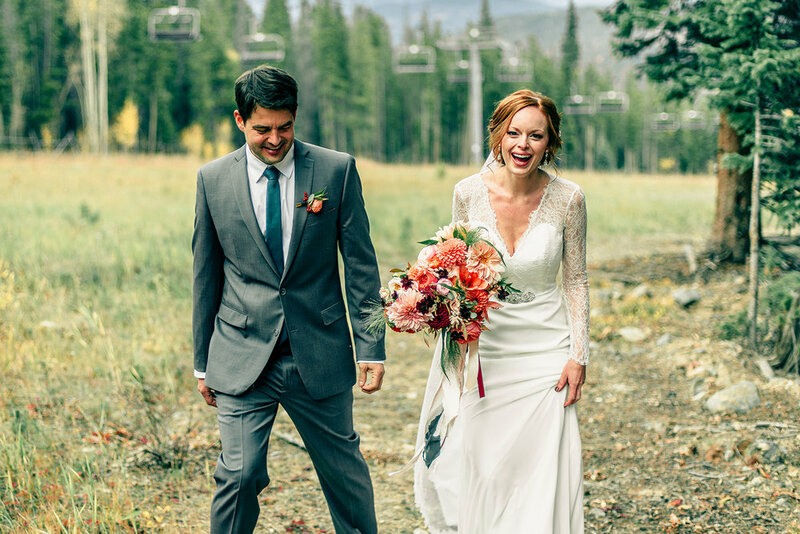 We helped Melissa and Jason plan a romantic, intimate October wedding that featured dusty orange, deep red, and soft pink tones. 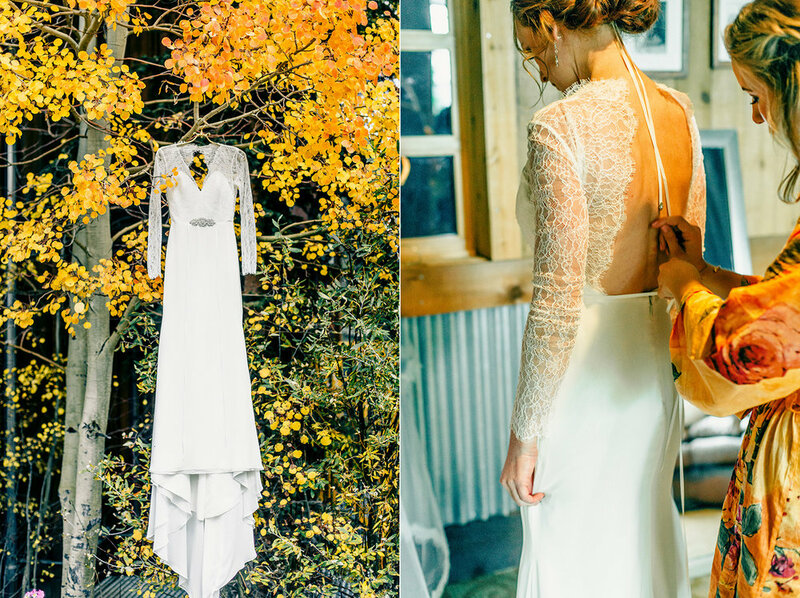 The couple wanted a rustic-meets-elegant feel that highlighted the natural beauty of the mountains, and their palette was a perfect way to enhance the surrounding fall colors. 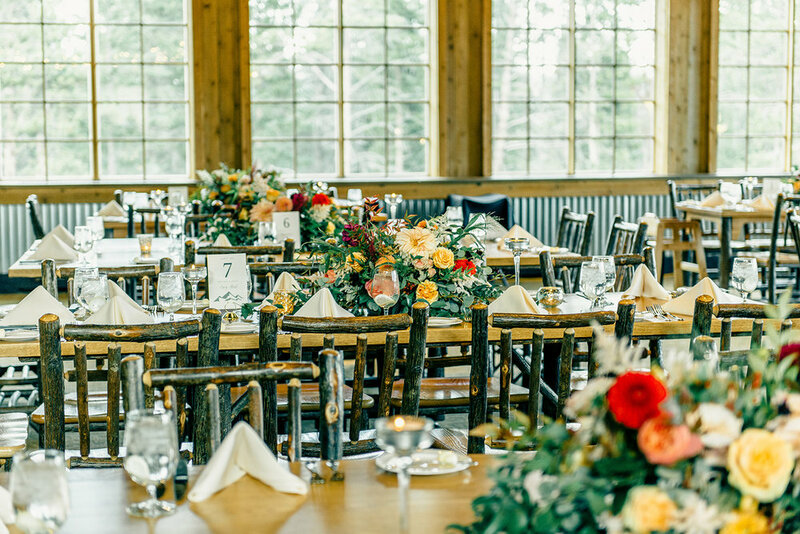 They also made sure to add plenty of unique and personal touches, from the bold florals, to the gold-brushed cake, to the custom mugs that they provided as favors. 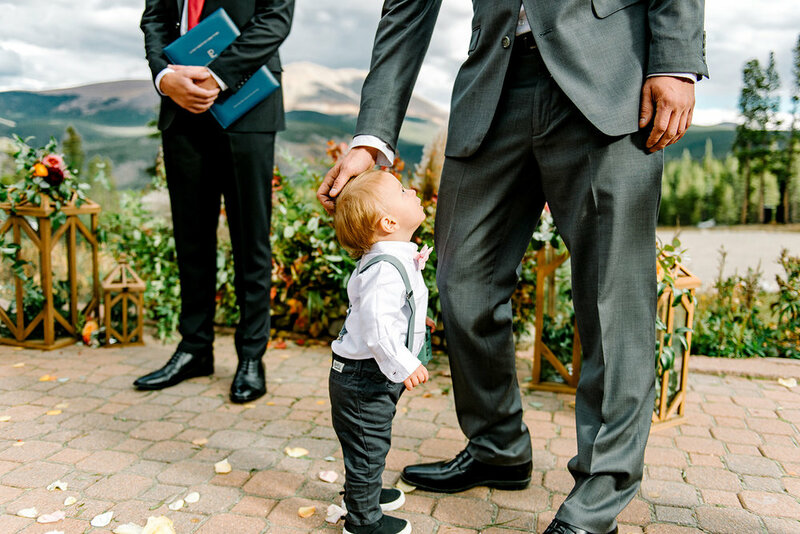 Before their ceremony, Melissa, Jason, and their son shared an intimate and emotional first look as a family. Zander held a sign that read "Daddy here comes our girl," and Melissa described it as her favorite moment of the day. 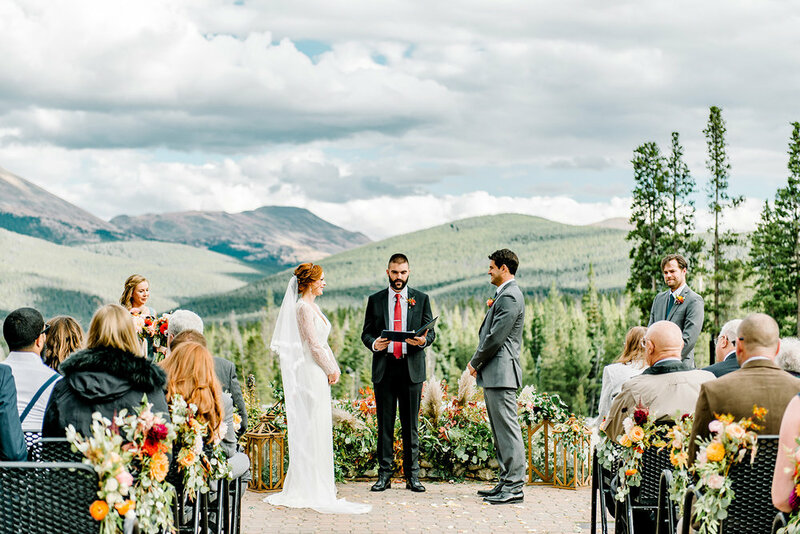 The day proceeded with their ceremony, which took place outside with dramatic mountain views in the background. The couple's friend, Nick Zahara, officiated. 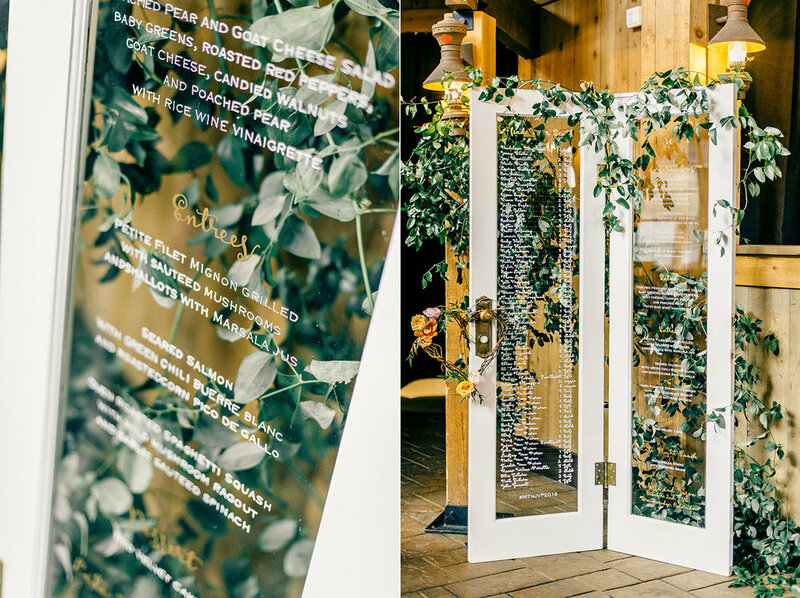 Dinner was served inside at long tables with lush floral centerpieces and mountain-themed table numbers. The couple and their guests danced and celebrated into the evening — luckily, there was late-night coffee to fuel the festivities!